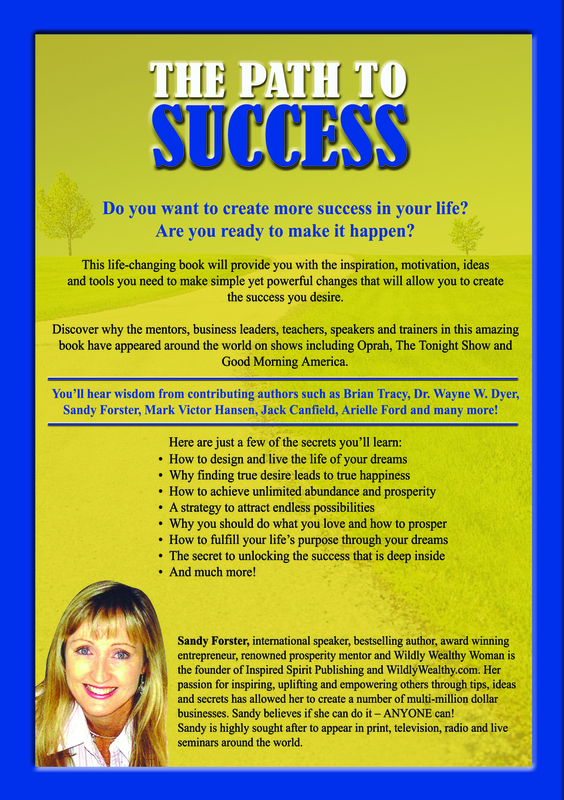 Today, I’d like to share with you details about an amazing book, The Path to Success, that has taken the world by storm, that will show you how to achieve the freedom and success you deserve and enjoy the lifestyle you want sooner. Affectionately called the “father of motivation” by his fans, Dr Wayne Dyer is one of the most widely known and respected people in the field of self-empowerment. Despite his childhood spent in orphanages and foster homes, Dr. Dyer has overcome many obstacles to make his dreams come true. Dr Dyer has authored over 30 books. Wayne Dyer stresses using the power of thoughts and of intention to get you what you want in your life. America‘s “Ambassador of Possibility”, The Chicken Soup for the Soul idea was just one of many that has propelled Mark into a worldwide spotlight as a sought-after keynote speaker, best-selling author and marketing maven. His credentials include a lifetime of entrepreneurial and publishing success and personal and professional development. America’s # 1 Book Publicist, Arielle Ford has mastered the art of making things happen. Whether generating widespread news coverage, creating a successful special event or launching leaders in the field of human potential, Arielle knows who, what, when, where and how to do it. 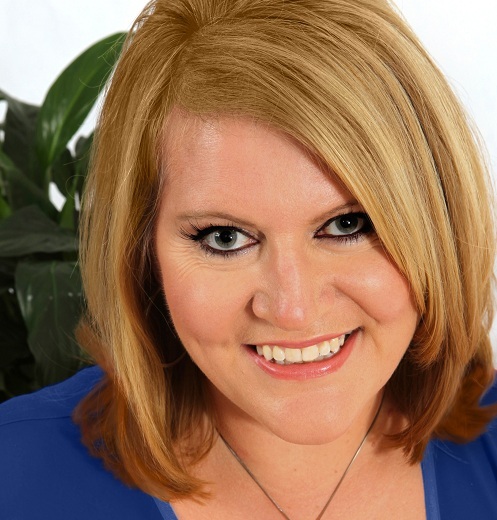 For the past twenty-five years, Arielle Ford has worked in nearly every aspect of public relations and marketing. Her clients have included bestselling authors (including 11 authors who reached #1 on the New York Times bestseller list), new products, tourism bureaus, world class hotels, non-profit organizations and fundraisers, Fortune 500 companies, real estate, film, television, celebrities, medical spas, world class athletes, the sports of professional boxing, wrestling, tennis, golf, indoor soccer and sports car racing; beauty pageants, and even astronauts. Arielle Ford is one of the five or six most influential and important people in the publicity business. She has the ear of so many. She’s respected. She’s trusted. And she’s highly effective. Would that be nice? Doing what you love and doing it when it suits your lifestyle. And can you imagine how great you’ll feel if you were getting PAID to do it? Wouldn’t it be great to work from home? Not having to battle peak hour traffic and sit on dirty public transport? How would it make you feel to be your own boss … and for people to be proud to recommend your services? The Path to Success has made a huge difference in my life and I know it can do the same for you. OKAY! I HAVE READ ENOUGH. I WANT TO ORDER NOW. Have you ever wondered what it would be like to feel incredibly powerful and confident and know you were in charge of the choices in your life? Wonder what it would be like to be in control of how you spent your time and how you lived your life on a daily basis? I mean, have you ever just wanted to do what you want instead of being dictated to by your boss? Or maybe you’re just sick of working as hard as you can, only to feel like you’re not moving anywhere? I know the feeling… and that’s another reason why I was so inspired to share my story through The Path to Success with people like you, because I’ve seen what NOT having choices can mean. She’s only 33 years old and works over 70 hours a week in a highly stressed corporate job. She’s available on her mobile 24×7. That means that everything in her life has to fit in around whether or not the phone rings, rather than her being able to decide how she spends her own time. In fact, just last week she was complaining about working all the time, not having time to spend with friends or family and how tired and run down she continually feels. Now, I know there’s nothing wrong with being dedicated to your work and I understand that many other people have to be on-call for work too… The thing is, if I was 33 years old and in my prime, I’d like to be able to decide how I spend my time, especially to be able to choose when to spend time with friends and family. I’d hate to have to fit them in around my work. So talking to her last week was a great wake up call for me, because I realised I don’t ever want to go back to that same situation. You see, I too used to work ridiculous hours in a highly stressed corporate job. I used to be a top IT Project Manager, responsible for managing $45 million budgets and 35 people at a time. I was hugely successful and making a lot of money. But then slowly, gradually, I realised it wasn’t for me. And my body began to tell me so in no uncertain terms! I started to get very stressed. And because of this stress, health issues started to arise. Serious health issues. Throwing Up Every Single Morning! I just couldn’t do it anymore. I needed a lifestyle change. Maybe you know the feeling? The thing is, while I know that my friend is doing what she needs to, to earn an income, I know that if she ever read The Path to Success her life could be very different…How do I know that? I’m a living and breathing example of how wonderful life can be if you follow your passion. Sure, the thought of change might scare the pants off you. When I first took the plunge, to be honest I was petrified! But within two weeks of following my dream, all the health issues that had plagued me for over 12 months instantly disappeared. I was cured! Imagine if this happened to you to? Imagine having more choices in your life, to choose who you spend your time with, to become successful and achieve your financial dreams? Because if this is you then you only have a couple of choices. You can slave away; working even harder or you can discover what over 50 entrepreneurs already know. Powerful, uplifting stories that can literally inspire you into taking action towards living the dream life you always wanted. In fact, that is what The Path to Success is all about – real life examples of inspiring entrepreneurs who have realised they were not living their dream and then taken the necessary steps to make it happen. Get ready for an inspiring ride with over 50 diverse entrepreneurs from around the world who share their personal, profound stories on what it took to rise to the top. Just imagine what reading their inspiring stories could do for you! Perhaps you’ve got a dream you’ve always wanted to pursue, but you haven’t quite found the motivation to make it happen? Or maybe you’re sick of working for someone else, but you’re afraid of what could go wrong if you go out on your own in business? Well, the great news is that no matter what area of your life you’d like to change, The Path to Success can inspire you do just that. Any time you feel despondent, unsure or lacking in confidence that you are on the right path, you can return to the inspiring stories contained in The Path to Success and be assured that you are heading in the right direction. You just need to decide that you want to have more choices and freedom in your life and put one foot in front of the other until you get there… although you may find at times, your own seeds of doubt will start to creep in. Well, do you ever find that you make up your mind to try something new or do something different, but then about a minute later your mind starts coming up with every reason why you can’t do it? If so, the exciting news for you is that The Path to Success can show you how others experienced those same doubts, and overcame them. And so can you. You too can reach your goals, follow your passion and live a life of your dreams. who are happy being average and want to make sure they stay that way. Sadly they also like to make sure you stay that way too. At the end of the day though, it’s your life to live how you want…and what better way to prove someone wrong than to do exactly what they say you can’t? Can you afford NOT to read The Path to Success? I’d like you to take a moment to imagine yourself 10 years from now, if you were to go on with your life as if you never heard about The Path to Success. Think about where you’re living, what sort of a job you’re working in and what’s happening in your life right at this moment. More confident than you have ever been. Enjoying the freedom that having more than enough time and money will afford. Able to quickly develop innovative solutions. Loving what you do, each and every day. Just take a minute to picture what that life would look like. Now, imagine where you COULD be 10 years from now if you were following your passion, just like over 50 of the world’s inspiring entrepreneurs have in The Path to Success. What kind of dream house are you living in? What sort of satisfying business or career path are you following? How do you choose to spend your time every day? If you were completely honest with yourself you’ll have just seen two completely different pictures in your mind. In the first picture you’ll have seen where you will probably be if you keep doing what you’re doing right now. In the second picture you would have seen where you could be if you choose to take action towards the life you desire. Because The Path to Success is my first time published as an international author!, I’m celebrating by sharing the gift of specialised knowledge with you. Sharing my story has had such a HUGE impact upon my life that I feel compelled to help other people just like you, who want to create more choices and achieve greater success too. You see, you’ll own a copy of The Path to Success, which you can either keep yourself, or give to a friend. That means you’ll be able to share inspiring and empowering success stories with someone you love. Whatever it is that you enjoy doing, I’d like to help you spend more time doing it! from Entrepreneurs around the world. It’s like having your own inspiring, personal development coach 24/7. Basically, everything you are ever going to need to motivate yourself to live a wonderful life. The Path to Success is one of the most powerfully inspiring books you’ll read this year. All for just $25. Not in an eBook, but in an old style, physical, paper back book. and order with your credit card. Now, I know you might still have a few questions and you may even have some doubts about whether The Path to Success is for you… and that’s completely natural. The thing is though, doubt is often one of the biggest things that stops you from achieving your goals. It’s the reason why so many people don’t take action and why most people get stuck in an endless, mundane routine. So, what I’d like to do for you is remove any doubts you may still have, because I really want to help you achieve the success you deserve. After all that’s why I decided to be part of The Path to Success. meaning that if you’re not completely satisfied with your copy of The Path to Success, simply return it to me in a saleable condition. That’s right. If you are not 100% satisfied, I want you to return it to me, and I’ll refund to your credit card on the spot so it won’t cost you a cent. No questions asked. No hassles or forms to fill out. No problems at all. This literally means that I am giving you a free product. That’s how certain I am that you are going to love this book. I really can’t make it any easier for you than that, because there really is no risk to you at all. We are making this unbelievable offer because there is no way anybody can possibly understand just how powerful The Path to Success is until they read it. Considering that you’ll receive 236 pages packed with unique real life success stories from entrepreneurs, I really believe this is an incredible, risk-free offer. If you’re not completely happy with your order, simply return it within 30 days of your date of purchase and I’ll completely refund ALL of your money – no questions asked. I’m sure you’ll agree that’s an incredible guarantee! Three ways to place your Risk-Free Order. The fastest and easiest way is to order directly on line with our SECURE SERVER. To order by secure server- CLICK HERE NOW! You can order by phone. Call us with your credit card details and we will rush your order to you. If you get the voice mail leave a message and we will call you back. Call 03 9686 2288. Or if calling from overseas phone 61 3 9686 2288. Call anytime even if its midnight. To order by snail mail write to Savvy Web Women, GPO Box 2000, Melbourne, VIC, 3001, Australia and enclose your cheque for AUD $35.00. Remember to include your return address. Further, we believe in word of mouth advertising. We would much prefer to spread the word about this amazing book through personal recommendations (referral) because that means you are being inspired and that’s what I’m passionate about. I know this book will inspire you and together we will create a word of mouth explosion that will empower and inspire the world. So, here’s your chance to reclaim control of your life and follow your passion today…and the best part is, there’s no risk to you. To unlock the secret to living a life of your dreams now, simply click on the button below. You’ve got everything to gain! So why not order The Path to Success right now on me! You’ll be glad you did. To secure your copy of The Path to Success, simply click here now. I look forward to hearing your story about how The Path to Success has helped you to transform your life. P.S. I know that reading this one book can make a huge difference in your life, just like sharing my story has in mine. The inspiring chapters are based on real success stories, written by entrepreneurs from around the world, so everything you’ll need to be inspired to follow your dream is here. To secure your copy of The Path to Success today, simply click here . P.P.S. Reclaim your life and create the future you want. Discover how you can follow The Path to Success.